This major addition to Blackwell’s Companions to the Ancient World series covers all aspects of religion in the ancient Greek world from the archaic, through the classical and into the Hellenistic period. Daniel Ogden is Professor of Ancient History at the University of Exeter. He is author of Magic, Witchcraft and Ghosts in the Greek and Roman Worlds (2002), Greek and Roman Necromancy (2001), and Greek Bastardy (1996), and editor of The Hellenistic World: New Perspectives (2002). 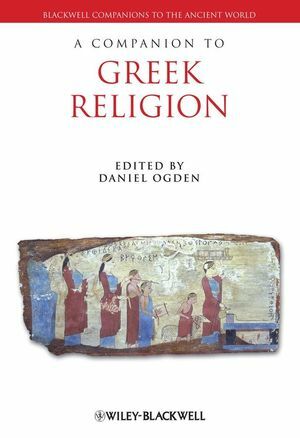 Surveys all aspects of religion in the ancient Greek world from the archaic, through the classical and into the Hellenistic period. Written by a panel of international experts. Focuses on religious life as it was experienced by Greek men and women at different times and in different places. Features major sections on local religious systems, sacred spaces and ritual, and the divine.